Our skilled and friendly staff is our greatest asset. Our periodontics & implantology team members are licensed professionals who take pride in staying on the cutting edge of dentistry equipment and technology, as well as patient communications. We are excited about what we do and are motivated to achieve the best possible results. This includes making you feel like family. Here’s a quick look at some of the friendly faces you can expect to welcome you the next time you visit our periodontics & implantology offices in Winter Park and Winter Springs. Jeffrey J. Sevor, DMD. Dr. Sevor is the man who’ll perfect your smile. He specializes in treating periodontal disease, diagnosing and treating oral pathology, placing dental implants, and providing treatments to aesthetically enhance smiles. Dr. Sevor holds a Doctor of Dental Medicine degree from the University of Alabama with periodontal specialty certification from Louisiana State University. He is a highly respected dentist in this area, having lectured extensively both nationally and internationally on periodontics & implantology and published numerous articles on the subject. Linda Jung. As team coordinator, Linda Jung is the smiling face who manages and coordinates our entire staff and ensures every visit is a pleasant one. She leads patient scheduling and payment processing, including insurance needs. Linda is exceptional at navigating insurance issues and is more than equipped to answer any questions you might have about your policy and what treatments are and are not covered by it. Angela Estelle, RDH, & David Fernandez del Pino, RDH. Angela and David act as Dr. Sevor’s lead assistants to help with all aspects of your periodontal and implant care. They are adept at performing thorough cleaning of your teeth, examining for signs of oral disease, and polishing your teeth afterwards for a clean and fresh smile. They will also offer a personalized hygiene assessment. 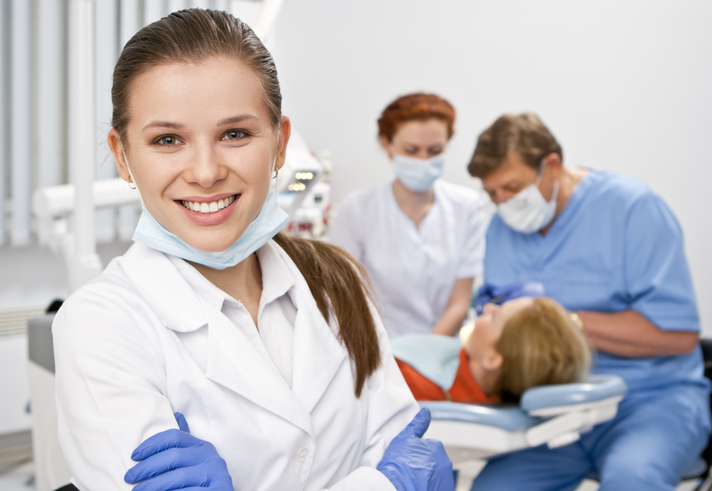 Once you begin treatment and during your healing process, your dental hygienist will explain necessary home care techniques. Jessica Hartwick & Jayne Tripoli. Jessica and Jayne are the grease that keeps our offices running smoothly and efficiently. As treatment coordinators, they will follow-up on the treatments recommended by Dr. Sevor and the dental hygienists. They’ll help explain in everyday language why a certain treatment is important for you and help explain all of the necessary steps and your available options. Jessica and Jayne also assist with all of the day-to-day details of answering phone calls and emails, and providing procedural care. Renee Swanston and Marie Gonzalez. Renee and Marie help all of the above team members in all aspects of periodontal and implant care. They handle the behind-the-scenes work of ensuring that patient areas are clean and ready for each appointment and guaranteeing that your stay with us is as pleasant as possible. They are skilled, knowledgeable, kind, and always ready to go the extra mile to assist with those details that make our offices a comfortable and welcoming environment. Caroline Lautenburg. As our marketing specialist, Caroline is charged with growing and promoting our dental offices. She designs, creates, and delivers the marketing programs that help support our team’s growth. If you came to us because of something you saw or read, it was most likely Caroline’s hand that steered you. She coordinates sales presentations and events that provide information about our programs and specialties to prospective patients and fellow colleagues. She also researches new products, market trends, and pricing to ensure that everyone in our office is on target and that we stay competitive with the best periodontics and implantology offices in the country. Are you interested in learning more about what our team at Central Florida Periodontics & Implantology can offer you as a patient? Then visit out website today to find out!